Recently I posted a THM eggnog recipe, but this week I am posting my long-time family recipe that is simply divine! Homemade eggnog was one thing that I always remember my parents making when I was growing up. 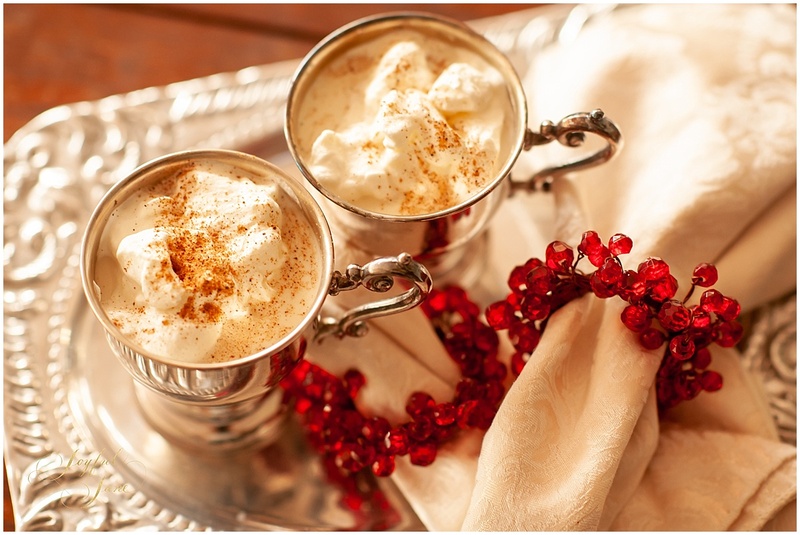 Ours was sweetened with maple syrup to make it healthier than the sugar-laden eggnog recipes so commonly made. It is rich and creamy and definitely a splurge, but oh so worth it! We always hosted a Christmas party for friends and family each year, so the batch of eggnog we made was enormous, but there was rarely any leftovers because everyone loved it so much. Until recent years, they made a cooked version that was more labor intensive, but over the last few years, my dad has made a perfect shortcut that saves tons of time by using pasteurized eggs in a carton instead of raw eggs. 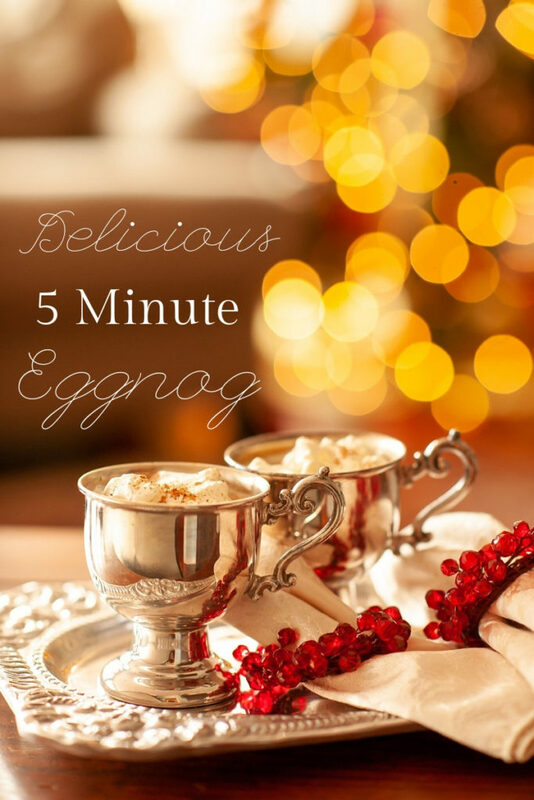 This cuts out any cooking and makes the eggnog an absolute cinch to make! No one in our family can taste a difference, so we are delighted with this quick version! For anyone who needs eggnog that is both lighter and sugar-free you can find the Rohnda’s THM Eggnog recipe, I posted last week here. 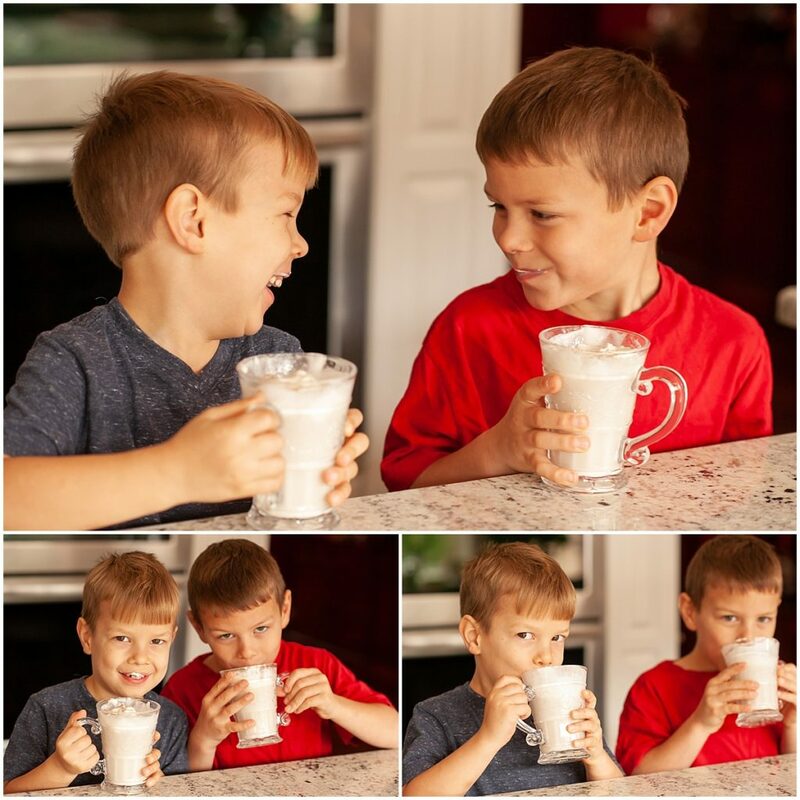 This eggnog is definitely kid tested and loved (and alcohol-free so everyone can enjoy it)! Combine first 4 ingredients in a bowl and stir. Serve with freshly whipped cream and a sprinkle of nutmeg on top. Yield: This would give you 10 8 oz servings…people tend to drink more than one small serving since it is so good…but feel free to half the recipe if you wish. We double it when our family all gets together. Can you sub out a THM sweetener for the maple syrup or sugar free maple syrup ? Yes, I am sure that would work just fine. I’d try xylitol or Gentle Sweet, but you’d have to adjust the amount to your desired sweetness.